“Emergency Home Birth!” my wife exclaimed pointing at a book on pregnancy and childbirth. My wife went into labour at 2.30am, we’d planned a home birth (this is her second) however our hospital was some 37 miles away and our allocated Midwife was another 20 miles beyond that. I got her on the phone and she spoke to my wife between contractions – she wouldn’t make it. ‘Call an ambulance and I’ll be over in due course’, she said. Chapter Six, ‘Emergency Home Birth’ looked like it needed half an hour to read and at least as long again to digest; there wasn’t time. Thankfully om the facing page of Chapter Six the editor had laid out the essentials in clear bullet points – towels, scissors and string are the ones I remember, probably because I required all three, these and the warning that the umbilical cord can get caught around the baby’s throat. I needed that too. Just in time learning, delivered just in time. And so it was, at around 3.20am, my wife on floor holding onto the the end of the bed, towels in place that our son was born. First his head, the umbilical cord wrapped tightly around his throat. I eased this over his chin and around his head, surprised at how thick and tough it was – then one,the both shoulders and he fell into my arms like a muddy rugby ball out of a scrum. My wife rolled around and sitting at the end of the bed she took him into her arms. A few minutes later the midwife arrived, thought everything was going well and went to run a bath. In due course she showed me how to cut the umbilical cord then took my wife to the bathroom. In my day job I was supporting the teaching of such techniques at the logistics and distribution group UGC in Oxford. I didn’t need a book, or a training video and given this was 1996 I wasn’t going to have Google, Quora or YouTube offer some advice. I’ve had no further need for these particular parenting skills, though it’s been an adventure following two infants through childhood into their early teens. Learning works best when it is pushed, when there is a challenge of time and circumstances, where it can be applied and seen to work. How do we apply this to formal education, to studying for exams through secondary and tertiary education? What is the difference with learning in the workforce, between physical actions on a factory floor, in a mine, power station or warehouse, out on a civil engineering building site or in an office or boardroom? There need to be exams – from mocks to annual exams and finals. Essays and regualr assignments are part of this best practice. And how about tests, even the surprise test, not so much for the result, but for the pressure that ought to help fix some learning in our plastic, fickle minds? In advertising we often spoke of ‘testing to destruction’ that nothing beats a clear demonstration of the products power, staying power or effectiveness in memorably extreme conditions. I like the idea of working Against the clock, of competition too, even learning taken place, as I have heard, as someone cycles around Europe, or drives a Russian Jeep from Kazakstan back to Britain. I believe in the view that ‘it’ll be alright on the night’ – that you can galvanise a group to rally round when needed and those new to this game will pick up a great deal in the process; personally I loved the ‘all-nighters’ we did in our teens breaking one set then building another in the Newcastle Playhouse, some sense of which I repeated professionally on late night and all night shoots, often in ‘extreme’ places. You are one of the wealthiest and privileged men in the world and likely, by all accounts, to be one of the most powerful men too some day soon, but you are deeply unhappy and married as protocol requires to another European royal. You are Crown Prince Rudolph of the Austro-Hungarian Empire – wanting for nothing and everything. Your are also crushingly unhappy – the privilege a burden. Then you fall in love and like royals before you the woman becomes your mistress – two years of bliss are doomed when your father the Emperor demands that it ends. Rather than give each other up you commit suicide, shooting first your 17 year old mistress, then turning the gun on yourself. Love for a girl and hate for the Empire could only be resolved through violence. The year is 1889. Fig.2. Archduke Franz Ferdinand, wife the Duchess Sophie of Hohenberg and their children Sophie 13, Max 10 and Ernst 8 c 1914. Some two decades later your nephew, the heir presumptive since your own death, appears to have it all – a compromise had been found when he refused to give up the woman he wished to marry in 1890. Archduke Franz Ferdinand, stunningly wealthy, happily married to the Countess Sophie Chotek – the woman he loves, with three healthy children, and trained up through his military career to rule would expect to become the next emperor soon – his grandfather the Emperor Franz Josef is now in his 80s. Then, on the morning of Sunday 28th June 1914 Archduke Franz Ferdinand’s misplaced ‘love’ for his subjects and his unquestioning love for his wife puts them both in an open top tourer on a formal visit to the Austro-Hungarian provincial capital of Sarajevo. Hate looms in the form of the 19 year old Gravilo Princip, a Serbian nationalist, desperately poor, principled, prepared and determined. Under instructions and guidance from the leaders of the radical Serbian terrorist group ‘The Black Hand’ he finds himself positioned on the route the Archduke will take back and forth through Sarajevo with six others – armed and eager to kill. In their different ways both Franz Ferdinand and Gravilo Princip disliked what the Austro-Hungarian Empire represented and how it behaved – both had ideas of how the problem could be fixed – Franz through compromise and accommodation – he tabled a federation of Austro-Hungarian states in 1906 -while both Count Rudolph at one end of the scale and Princip at the other, both felt that two bullets from a revolver were the pill that wold fix everything when others controlled your life in a way that you found intolerable. Two world wars later, nearly 50 million dead and conflict only recently resolved in the Balkans and if there is a one word lesson to take from the 20th century it is ‘Diplomacy’. My goal is to find a way into this story – my quest might be over. I’m taking known facts rather than fiction and using the 1939 book ‘Story Writing’ by Edith Ronald Mirrieless as my guide. Narrative is a powerful tool, but compare a factual account, say of the sinking of the Titanic, with the move. Compare too some botched attempts at the telling of the 1914 Sarajevo assassinations where students recall above all else that Gravilo Princip apparently went into a cafe to buy a sandwich when he say the Archduke’s car outside. There is invention and accuracy, but also responsibility to ensure that the facts that matter and can be corroborated are in the story. The story I tell will be told by the Infant Marie Theresa of Portugal who married Archduke Karl Ludwig a month before her 18th birthday at Kleinheubach on 23 July 1873. She would have been 32 when Crown Prince Count Rudolph killed himself. Maria Theresa then stood in for the Empress who retired from court life after her son’s death. She carried out honours at the Hofburg Imperial Palace with the Emperor until 1896 and was instrumental in helping her step-son Franz Ferdinand fulfill his desire to marry the Countess Sophie Chotek which he achieved in July 1990. The following details I sourced from various places and will verify and alter in due course. When the Austro-Hungarian Empire collapsed following its defeat in the First World War. After his abdication, Maria Theresa accompanied Karl and his wife Zita into exile in Madeira, but eventually returned to Vienna where she spent the rest of her life. In 1929, following a decline in her finances, Maria Theresa engaged two agents to sell the Napoleon Diamond Necklace, a piece inherited from her husband, in the United States. After a series of botched sales attempts, the pair finally sold the necklace for $60,000 with the aid of the grand-nephew of Maria Theresa, the Archduke Leopold of Austria, but he claimed nearly 90% of the sale price as “expenses”. Maria Theresa appealed to the United States courts, ultimately resulting in the recovery of the necklace, the imprisonment of her grand-nephew, and the absconding of the two agents. Maria Theresa died in Vienna during World War II. 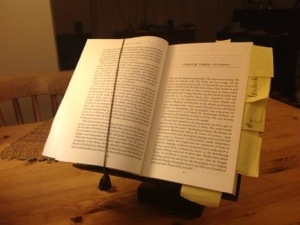 For all the technology – I am writing on an iPad – the book I am reading (‘A Life Remembered’ is only available in print) is on a rather rusty, heavy-duty iron book stand. Out of shot I have a lamp on an upturned waste-paper bin – an eBook would be the light, the stand and the content. It allows me to take notes, picking out moments and ideas from mini PostIts. In some respects I feel like a Talk Show Host preparing for an interview, though many of these stories and their significance to Zbigniew Pelczynski I have heard before – I’ll be in his company this weekend so can ask questions, record the interview highlights and post the results here. What defines him as an academic, inspirational educator and Polish patriot? How might others have behaved given the extraordinary life choices he had to make as the Second World War came to a close? What is it about Oxford University that held him in its spell and kept him from the opportunities and temptations of other universities in the UK and abroad? How can the oath he made to God that defines his life come from someone with no faith in religion? Is it not ironic that despite being alive and well and mentally alert and agile in his 86th year that publication of his life story isn’t the end at all, but another mile stone as he drives on to yet more commitments and projects later this year and next including a two-day conference on Rousseau, Hobbes and Machiavelli, the book launch at the Polish Embassy then Meetings at his School fo Leaders in Warsaw. With Zbszyek it isn’t even a case of ‘what next?’ rather it is a case of what he plans to do still beyond that. – an exegesis of the works of Luther, Calvin and Rousseau. The German campaign of mass murder in Warsaw in response to the foolhardy uprising killing, between 5th and 7th August 1944 more than 50,000 men, women and children. Perhaps 200,000 killed over the next two months. The life defining oath Zbigniew made when rubble pinned the 19-year-old in a cellar after an attack by a Stuka. HORROR – POLISH FARMHAND – what people will do to survive and for love. Condemned for a ‘race crime’ with a German girl and put in a forced labour camp on starvation rations he joined the Offen Kommando whose job it was to collect and burn the bodies of dead inmates. McAvoy (2012:39) There they had witnessed systematic cannibalism. (Though I suspect hours of cooking rather than 15 minutes would have been required). A very different war defined a quite different man – my grandfather, working class and a machine-gunner in the First War, humble, conscientious and hardworking, dedicated his life to his wife and child. What is of greater significance? Our genetic make-up or the events in our life? People respond very differently to events and circumstances, yet the decisions they take define them. We cannot all be the same. What am I coming to understand about education and the motivation to learn? What bearing does this have on the struggles and wars that continue around the world and the politics that are both the cause and cure of the mess in Syria, Afghanistan, Iraq and beyond to Korea and elsewhere? McAvoy, D (2012) Zbigwniew Pelczynski: A life remembered. Grosvenor House Publishing. Over a period of four years my sight reading improved, my voice and control imnproved, I played the flute and piano, I could sight read music and perform in public on a stage alone or in a choir. I see myself here, 37 years ago, and see my son. 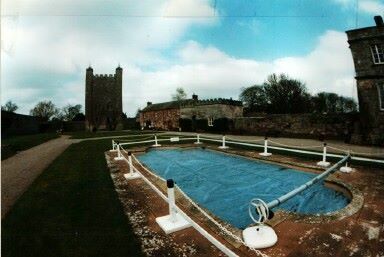 Walled Garden or Swimming Pool, how would you define this environment? 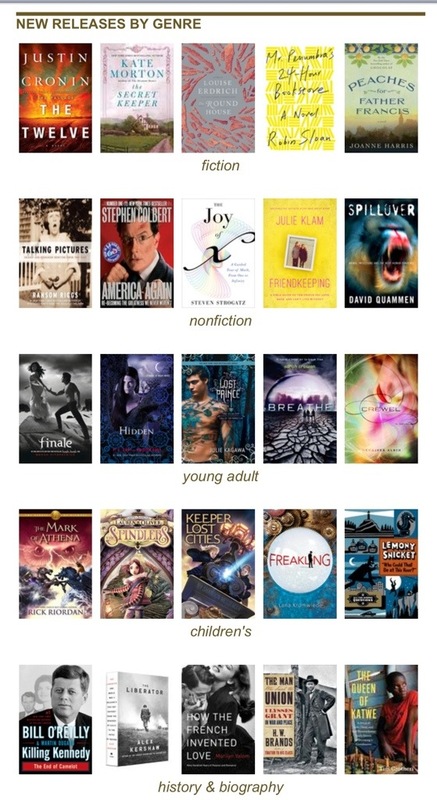 As an exercise I have for the first time since I started this blog in February 2010, gone through EVERY tag. The typos are going and there is some consolidation. Do I need the duplication of Agnes Kukulska-Hulme and Kukulska-Hulme? I don’t need the duplication of h808 week 5, and h808 wk5. And are the tags e-learning and MAODE pointless if so many entries are so identified? My view is to get stuck in and alter stuff as I go along, exactly like gardening. Blogging here in OU land is to do so within a ‘walled garden’ (a technical term for a safe haven, a nursery if you will, polytunnel or cold frame if you prefer, even the training pool in a Leisure Complex rather than the open sea. Can I gather my thoughts this way? That’s the idea. More than an aide memoir once you have 100 entries + (there are more like 500 here) with tags, they can be as personal as you decide, and you can search anyway. What I have found over ten years blogging, and 18 months here, is that almost EVERYTHING you write and tag, title (and categorise if you cut, paste and duplicate into an external blog) sparks off a memory of when and why you made that note or had that thought: you can build on this. This is where a blog differs from the private diary or journal (which are valuable in their own right). A blog, shared with a discrete tutor group, or just your tutor, with the cohort for that module or the entire course, let alone ALL current OU students and the www, is guided by comments. These are always supportive, constructive, considered and relevant. Only ONCE was I ever ‘flamed’ and that was nine years ago on an external blog. The thoughts of those on other courses are often the most insightful of all as they come unburdened, curious and willing to challenge. I’ve got ‘The Secret Life of Words’ out again to enjoy a sustained romp through the WWW (weird world of words). This History of English is a bite-sized comedic romp though academically sound-bite sized approach to learning – think “Just A Minute (BBC Radio 4) meets ‘The Reduced Shakespeare Company.’ I think Dr Who with ADHD having to explain his preference for these Isles in a 60 second count down to the end of the universe. Which words leave you discombobulated? Which ones left you tickled pink? My journey through the English language has been refreshed. I have read his ‘The Secret Life of Words. How English Became English’ from cover to cover. I’ll have to read his book on Dr Johnson’s Dictionary next. Or get my hands on Mencken’s book on ‘The American Language’ which the late Alistair Cook would often quote. I’ve learnt about loan words, calques and coinage; words taken straight from a foreign language, expressions that are literal translations of a foreign language and invented words. English is a language of constant invention. I love the French loan word ‘Escargatoire’ which is ‘a nursery of snails’. It amuses me that William Fox Talbot wanted to call photography ‘photogenic drawing’ while after Louis Daguerre we have ‘daguerreotype’ but pushed by Sir John Hersche ‘photography’ and ‘photo’ caught on. (Queen Victoria asked a grand-daughter for a ‘photo’ in a letter so that diminutive, the word not Herr Majesty, has older and loftier origins than we may have imagined). “When did English speaking scientists get round to naming the most intimate of the sexual body parts? Voiced by Clive Anderson, this entertaining romp through ‘The History of English’ squeezes 1600 years of history into 10 one-minute bites, uncovering the sources of English words and phrases from Shakespeare and the King James Bible to America and the Internet. Philip Sergeant (FELS) was the academic consultant. The idea is based on the Open University course ‘Worlds of English’. Thirty seven years ago when I was at Prep-school in Northumberland I let a young girl die and buried her in the allotments we boys kept in the semi-derelict Victorian kitchen gardens. Boarding prep-school in a boys-only environment from the not-so-badly-off middle-class, upper-middle-class and landed-gentry was common then: professionals, ex-pats, execs & directors of various kinds – they all found a way or satisfied a need to have their boys away from home. There were plenty of broken families too, not a term used for this ‘class,’ but broken they were, separated & divorced, split largely by men having a mistress while the wifelet was at home with the kids … though a few were single-parent families from suicide – wives sticking their heads on a pillow in the gas oven when they found hubby had a mistress (or someone else’s wife) on the sideboard. I don’t know the girls’ name, but I have a photo of the garden where we buried. We won the ‘Gardening Prize’ – a silver cup that was given out on Prize Giving at the end of the summer term under the marquee on trim lawn. We gave her a name, she wouldn’t tell us who she was; I forget why. I suppose by giving away the ending you may feel there is no point in reading on, but there are a number of issues and surprises that might intrigue you. Visiting Scotty Hall for only the second time in several decades (I returned once as some old boys do the year after leaving) I went to the site of the allotments. The sheds had gone, with their stacks of pots, the changing rooms for the open air pool gone too and the whole complex now under brick, stone & glass, an edifice of financial deviousness that I contrived in the 80s in order to give the school an indoor pool and the capital to maintain it. I should have looked beyond the boundaries of the plans as the allotments or ‘gardens’ as we called them were now grassed over, the Victorian cold-frames long gone, along with the Victorian glass house. I had to wonder if we had dug her grave deep enough – deep enough not to be disturbed when the ground was skimmed over to lay turf. All of this a great shame as between them, swimming & gardening, were the loves of my life. And Kathy. You see I’ve remembered her name. Or what we called her. She didn’t say much, this stray, this orphan, this lost girl, this fellow human being who came to us like a lost dog and sought sanctuary, protection and comfort. We had to keep her from the prefects, and the teachers. We had to keep her from the other boys in others dens too. You can understand why then we protected our den with such vigour and deviousness at the end of that term. I was eleven. Let’s roll it all back a few years to the trigger that perhaps set this all in motion. I am seven, pushing eight. I am with my brother and sister, and we have a photographer coming round. We are dressed in what might be described as our Sunday best … Sunday best for school that is as we had stopped attending Church, even at Christmas at least a year or two before. Probably timed with my late father’s bedding of first his secretary, then the wife of a friend. I think he, like me, felt that having committed a sin he could no longer attend Church (possibly why the Catholic introduce confession in the first place, to keep the numbers up, to get bums on seats). You’ve gathered from this I am an atheist, not the time of place to go into the details why be suffice it to say that as a chorister and ultimately the head chorister at school all my requests from the choir stalls for God to prove his existence to me failed. He does not exist. And my late grandfather who had survived the First World War – he had very good reason to curse god, kings & country and dam them all to hell. Or hells bells, somewhere not pleasant. Anyway, my brother, sister & I are not only gathered to have this picture taken, we are also gathered to be told by my father, with my mother’s assistance, that he would no longer be living with us. We children burst into tears of incredulous disbelief and my father swore. “ I can’t stand this.” And walked out. Boarding school seemed to follow uncomfortably swiftly after this. Getting to boarding school I should not have been surprised to discover just how many of my friends had divorced parents – for us, the children of the wealthy middle-class boarding prep school appears to be the dumping ground of the unwanted and unloved. It seemed that way, though I realise since that is was just a traditional thing. It was in my third year. That first year I got used to the rules, habits & customs of the place: dorm-captains, bundles, fire drills, numbers and even how we were called, not by our first names, but by our surnames. If we had a sibling or cousin or some other unfortunate who shared the same surname that each of us had the prefix max, min or minimus. In this way I started as Harrison Min until my cousin, who never completed his final year, left and my older brother become Harrison Ma & I become Harrison Mi. It is into the world of dorm-raiding, Sunday tuck, tuck-boxes & trunks, choir practice and lights-out that I need to bring you. Outside, beyond the gates in the world beyond there was a three-day-week. The impact this had on us is memorable, though we were never reduced to a three day week ourselves. We were nonetheless reduced to days without electricity and therefore without light. It became some enormous camping exercise with hurricane lamps in the common rooms and classrooms, with candles on the dinning room tables as if every night was Halloween. There was sport every afternoon with a match of some kind on Saturday after morning lessons. On Sunday church was followed by Sunday lunch and the handing out of tuck, or what the real world might know as sweets or candy. The means by which us 110+ boys got to select a piece of tuck was grossly unfair and waited utterly to the whim of the teacher in charge. The preferred method was for them to call out a number somewhere between 1 & 31 until everyone with a birthday falling on the date called out had been covered. My brother and all the others born on the 3rd of the month got up and away earlier than everyone else time and time and time again … it is one of those numbers that is bound to be picked of the top of someone’s head early on … for me, with a birthday on the 27th more often than not, we’re be the one’s telling the teacher that our number had not yet been called. They never took notes. never used a Tombola. Never considered to be a lottery. There was a bias built into it with, I’m sure. some teachers knowing the birthdates of their favourite pupils. Anyhow, there was more to this than ending up with a Mars Bar (the ultimate prize) or a Penguin biscuit (the duff end), getting out first meant you were also out first, changed into a boiler suit & outdoor shoes and off into the woods for the afternoon. The woods were a boy’s dream, 35 acres of deciduous wood, mostly unmanaged. Boys formed gangs by age and form and took over dens from he previous year, building on their structures or starting again from scratch. These dens were castles, fortress, strong points. We had a dry spot, often lined with plastic fertiliser bags with ferns cut and piled onto the roof. We dug what we called trenches, even moats to defend out space. These might fill with water. We collected brambles too and let them dry sharp, then wound them around the boundaries of our territory. There would be a rare raid from one den against another and in the process maybe a few bombs and spears would be taken. Bombs were fern-corms while the spears speak for themselves. We had bows & arrows too. Very effective. Clearly dangerous. It is into this environment that I must introduce Kathy. Her full name might have been Kathleen. Getting to our den after Sunday lunch one the third week of the Summer term in my third year all seemed untouched until we settled under cover of our shelter to dig into our tuck. Between us we had birthdays on the 3rd, 1st, 11th , 27th & 18th. We shared what we got – I often had the duff Penguin biscuit which also went into the pot so I’d get a couple of Opal Fruits, a piece of Mars Bar and maybe a mouthful of Curly-Wirly or Milky Way. So we’re doing this share out, the boys from Beamish Dorm, Saxby, Hardy, Ramsbotham and Blackett. And we find there is something in our den under a blue fertiliser bag. We are taken aback by the creature. Too scrawny, scruffy and moth eaten to be human we thought. We couldn’t keep pets, so we kept her. Some of us had sisters, but this girl was like no sister, like no creature we had come across before. She was a thing of the woods. She said nothing, was easy to please with pieces of food and fresh water and we could keep her warm too with clothes we brought out to her. We’d come out in two pairs of socks and give one to her. We’d put on two tops, and so on. Blankets we pushed out a dormitory window and collected in a wheelbarrow when on stone picking duties – for this we needed to pick up a minor punishment, running in the corridor was the simplest one. In this way we looked after our girl. We took extra care with den security, the dried brambles for barbed wire and the trenches deep enough, I doubt deeper than 3ft feet, that contained water. We brought her things to do and read. Her favourite was Look in Magazine for the pictures and puzzles. I got out at night. I couldn’t sleep well anyway. You’re in a dorm of 12 or more boys and there is always someone snoring or wheezing. I’d hold their nose, tickle their feet, put pillows over their heads. We’d target practice the asthmatics with slippers, which I can see now could only have made their dust induced wheeze worse. But after these games I’d not be able to sleep. I’d wandered around the school at night unspotted so taking the next step and leaving the school to go to our den and check on the girl was easy enough, in fact, the chances of me getting caught once I was into the woods, compared to wandering the corridors of school, were greatly reduced. Radios weren’t allowed by Ramsbotham had made one with a kit which somehow had got around the rules; perhaps the headmaster had never expected anyone to get one of these kits to work. She had that so that she had company, Radio 1 did the trick. She said very little but understood everything. She did not want us to tell anyone where she was, that was for certain. We stuck to this wish. Without radios (and never listening to anything local in any case) rarely catching TV unless it was deemed educational, like Tomorrow’s World and only getting national ‘quality’ daily papers we weren’t likely to learn if a girl had gone missing. At home, when my parents were arguing hardest, shouting and even throwing things at each other, I took to getting into the dog basket with our black Labrador Morag. It was a warm, comforting & secure place to be. At school, if I felt lonely that term (because these events only latest one term) I would go out and cuddle up to Kathy. We kept each other warm, it was simple as that. The dorms were unheated. Strategies for keeping warm included wearing tow pairs of pyjamas, keeping our dressing gowns on, curling into a foetal ball, or the only one that worked for me was to lies as stiff and as straight as a knight on a tomb, my legs crossed, one foot keeping the other warm, my arms crossed over my chest. Clambering under a blanket covered in bracken to snuggle in with Kathy worked much better. I never got caught and I never fell ill. Being asthmatic I might have been better off in the fresh air of the woods in any case. During the summer term we had sports days, swimming in the outdoor pool, making rafts on the lake and competing around an obstacle course. We had gardens too, some flowers, some vegetable. Just as we would compete to stake out a plot for a den in the woods those who fancied gardening had competed for plots rarely larger than a double bed around the derelict Victorian kitchen garden. The vegetable plot I had produce cress, mustard, radishes and lettuce. I had peas too and cabbage. Carrots and beetroot. A little cash could be earned selling this to the wives of teachers who lived in cottages around the estate. Some of this went to Kathy. My grandfather, in his late seventies, had been a machine gunner in the first world war. He had often told me how he had made a little bit of fire in a tin can to heat up some water, cutting thin shavings so as not to make any smoke. We produced a little heat for Kathy, taught her how to warm things up without making any smoke. She had to cope for long spells without us. We had lessons all morning, games all afternoon, more classes then dinner and prep. Getting out to her at all could mean an early morning visit in pyjamas … or a visit a night, also in pyjamas. When she fell ill, we too fell ill, or rather we pretended to fall ill with her symptoms. We lined up to be looked at by the visiting GP and were fobbed up with an Aspirin or a Vick’s rub. Certain that what she had was a bit more serious all we could do was pilfer from the medicine cabinet. There was always someone in sick bay with something so a handful of something more powerful, antibiotics for example, could be had. By now Kathy had been in our den for two months. As the term progressed our next problem was of course how we’d take care of her over the long summer vacation. None of us lived close, in was 15 miles to Newcastle for me, 25 to Alnwick, 11 to Hexham. Age 9 we couldn’t get chauffeured where we wished either. Perhaps we thought it was just as well that she was ill.
We respected her absolute wish not to be exposed, which is of course our crime, because her illness got worse and as we approached the last week of term she died. We had to do something with her and more than one of us having buried pets large & small in our gardens this is what we decided to do with her. With the gardens a bit of a cemetery in lay out in any case with they two dozen plots we decided to dig one of these up and put her at the bottom. We chose my brother’s plot without telling him. It was 6ft long and a few feet wife with a little crazy-paving path along the centre, curved at one end and surrounded by rocks. In a way it was like a stained glass window. In a way it was like a grave without a tombstone. The idea was this, we’d all meet out at the garden at around 11.00pm one night and dig out my brother’s garden to the depth of the tallest boy, this would be a little over 5ft. Kathy would go in a school trunk, we all had these from Isaac Walton’s in Newcastle with our names on them. We drew lots for whose trunks to use. Mine was chosen, that had to come out of the attic where a hundred of these things were stacked, empty in former servants quarters, unused rooms above the dormitories. We went unnoticed and unmissed. The night we were out all th staff, including Matey Ma & Matey Mi and any teacher who might have been on duty, were down by the pool having an end of term party. While an Australian assistant teacher strummed a guitar and sang songs we five boys were out. We each placed an item special to us or something we thought that was special to Kathy in the trunk with her. I gave her my teddy. Ramsbotham put in his prize butterfly yoyo. Blacket gave up his cricket pads, that somehow looked right, like armour on a medieval knight. Smallwood, who’d got in on the act left six copies of Look and Learn and Saxby put in the radio he’d made from a kit that he’d been given by hid Dad when he’d come third in the school spelling competition. We covered the box, replaced the plants, watered them and went back to bed. The growth and splendeaour of my brother’s garden was spooky. Perhaps it was because we’d disturbed the ground and watered the loose soil. Perhaps it was because of out little angle in the ground below, but when it came to judging the garden for the Gardening Cup 1973 it was this garden that won. And so I’m back thirty five years on. I can locate the site of the garden, just about, on a bank, now neatly grassed over. The boys and girls at the school don’t have gardens anymore, they make shared contributions to planters all around the school buildings. Its not the same. I want to leave a cross. I have one left over from Remembrance Day. I’ve removed the poppy and replaced it with a Breast Cancer yellow daffodil. I don’t expect that my placing this cross in the ground will draw undue attention; it doesn’t. With time on my hands though I start to think about who this girl really was. There must have been some record of some girl going missing at some stage in the previous years. There was a home up the road for children, she might have run away from there, but surely they would have reported her missing? Of course they would. There had been a gypsy family behind the cricket pavilion who had more children than you could count. I dare say by digging her up DNA samples could be taken and records checked. What I eventually came up with as a possibility was a girl who had been snatched from her bath in a downstairs bathroom of a cottage in Beadnell in 1966. How the family had disappeared with her no one could understand, yet proof of the abduction, with no child and no body, had dumbfounded the family and the authorities. I can’t imagine it would give any surviving relatives peace of mind to know what had become of the girl and if indeed this was their girl in a trunk five feet under a bank of neatly mowed grass by a swanky swimming pool complex at this posh boys school. The problem I have with it was that is was my sister who was snatched, I was five at the time, and unwell … my mother was on her own in the cottage. Could a boy of five with a fever be expected to recognise a sister who had been three years old when she’d been taken another five years down the line? A girl who didn’t speak, who was too dirty and scared to be recognisable, who behaved like a rabbit with mange yet was certain on one thing that we boys respected absolutely – she did not want anyone at all to know where she was.